Facebook on Wednesday announced an update to its policies for restricting data access on its platform. The move came just two weeks after the company said it would take a "hard look" at the information apps could use when connected to Facebook. CEO Mark Zuckerberg also discussed some of Facebook's new efforts to shore up user privacy protections in a 45-minute long Q&A with members of the media on Wednesday. Facebook will implement nine changes, which will allow users to set privacy levels and limit automatic data sharing. The changes will affect the Events API, Groups API, Pages API, Facebook Login, Instagram Platform API, Search and Account Recovery, Call and Text History, Data Providers and Partner Categories, and App Controls. The Events API no longer will allow apps to access the guest list or posts on the event wall. Only Facebook-approved apps that agree to strict requirements will be allowed to connect with the Events API. The Pages API will no longer allow apps to read posts or comments from any page, and all future app access will have to be approved by Facebook. Facebook also has made big changes to the login. It will require approval of all apps that request access to information such as check-ins, likes, photos, videos, events and groups. The Search and Account Recovery features that allowed searches using phone numbers have been disabled to avoid abuse. Two of the more significant changes affect the Data Providers and Partner Categories and the App Controls. Facebook last week signaled it would shut down the Partner Categories, which had allowed the use of third-party targeting capabilities. In addition the App Controls will be modified, as of Monday, to provide users with a link at the top of the News Feed that offers information on the apps that can be used and the information that will be shared. Users will have the option to remove the apps. Further, users will be notified if their information might have been shared improperly with Cambridge Analytica. The transfer of data that resulted in the exposure of as many as 87 million users' data without their permission was in violation of Facebook's policies. Cambridge Analytica may have used that data in connection with President Donald Trump's campaign. Previously the number of people whose data had been shared without permission was said to be up to 50 million, but on Wednesday's call Zuckerberg revised that number upward to 87 million. Cambridge Analytica has disputed the numbers. This is not the first time Facebook has faced a backlash over privacy concerns. "It is not surprising; it is shocking but not surprising," said consumer advocate Adam Levin, founder of CyberScout. "Facebook has been on the edge of this catastrophe for a long time," said Josh Crandall, principal analyst at Netpop Research. "The company has leveraged data mining to encourage users to spend more time on the site and enable advertisers to target likely consumers more effectively than ever before," he told TechNewsWorld. "To promote the growth of a developer ecosystem, Facebook provided third-party developers access to their users' data as well," Crandall noted. "Access to user data enables developers to create more viral applications." As with its past data scandals, the Facebook faithful largely have stayed with the network. This time, the company has acknowledged that privacy is a concern, which might be enough to sway even its harshest critics. "Facebook has taken multiple steps to make privacy settings and controls easier to find and control," said Greg Sterling, vice president of strategy and insight at the Local Search Association. 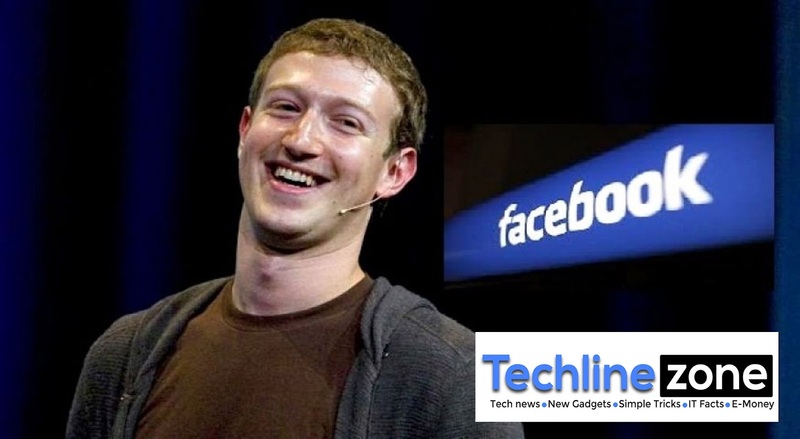 "These will matter to some but probably not most Facebook users, as most people don't read terms of service, for example," he told TechNewsWorld. "The company has also restricted third-party data usage and tried to put in place other controls to prevent future abuses by outside companies seeking to mine or exploit Facebook user data," Sterling noted. Those measures might not even matter to the core users, "because we are conditioned to participate in social media," CyberScout's Levin told TechNewsWorld. "It is almost built into our DNA at this point," he said. "Facebook can weather it, and even when people say they'll use an alternative it doesn't matter, because they own those alternatives. They own countless companies that we haven't even heard of." The new efforts to ensure user privacy are really part of a good business strategy. It isn't just users that the company needs to reassure. Following Zuckerberg's call, Facebook's share price rose on Thursday. "The company has lost some trust with consumers, but ultimately its revenues and usage in the U.S. won't be dramatically impacted," said LSA's Sterling. "Facebook's latest public statements about locking down data sharing is a first step, but it's not enough to speak to the media about the actions they are taking," suggested Netpop's Crandall. When it comes to accessing personal information, technology companies are in a more powerful position than ever, he added. "It's essential to talk directly to the member community and protect those who decided to share real, intimate facts about themselves with others on the Facebook platform," Crandall said. However, advertisers don't seem to have been moved in any way, and it is business as usual, noted Sterling. "The most dramatic move the company has made is its commitment to extendGDPR protections to users around the world, and that is a significant decision that holds implications for some of Facebook's rivals," he pointed out. "Overall, some of what Facebook is doing is a sincere effort to rectify problems and issues, and some of it is intended to mollify politicians and legislators who might now be more inclined to regulate the company."